Injectable wrinkle fillers or dermal fillers have been used in plastic surgery for decades. Starting in the 1980’s bovine collagen has been used as a wrinkle filler with good results. Because this product was obtained from animal sources (cows), allergy skin testing was necessary, making same-day treatments impossible. Patients required skin testing and treatment was performed 1-2 weeks later if no allergy was present. 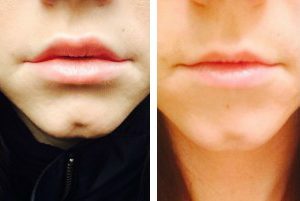 Results with collagen were good but lasted on average only 3-6 months. 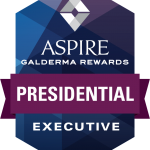 With the advent of human derived collagen (Cosmoderm® and Cosmoplast®), skin testing was no longer required but results still lasted less than 6 months on average. Restylane® Family of Products– Restylane and Restylane Lyft have been FDA approved since 2003 and still the most widely used dermal filler worldwide. Dr. Maguire prefers this product for lip augmentation, under-eye hollows (tear troughs) and more superficial skin wrinkles. Juvéderm® Family of Products– Juvéderm® XC, Juvéderm® Voluma and Juvéderm® Volbella have been FDA approved since 2006 for the treatment of the nasolabial folds (smile lines or parentheses that run from the nose to the corner of the mouth). Its use has been expanded to include other wrinkles and folds such as the marionette lines (running down from the corners of the mouth). 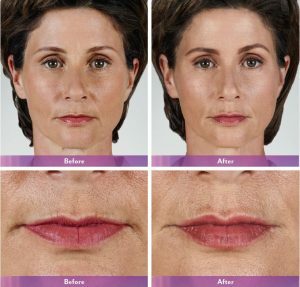 Dr. Maguire and Jolene Boswell typically use Juvéderm for these areas and also for lip augmentation. Radiesse®– Microspheres of calcium hydroxyl appetite in an aqueous gel. Calcium hydroxyl appetite is a natural component of bone but Radiesse is a smooth, soft gel when injected and maintains a soft, natural feel like other dermal fillers. Radiesse is considered a “stimulatory filler” which serves as a scaffolding and promoter of your body’s own natural collagen production. Results can typically last 9-18 months. Dr. Maguire prefers this filler for cheek augmentation and hand rejuvenation. He also uses Radiesse in nasolabial folds and marionette lines but does not use it in the lips. Sculptra®– A stimulatory filler composed of poly L-Lactic acid in an aqueous solution. First FDA-approved for treatment of HIV-associated facial wasting, it now has FDA-approval for aesthetic (cosmetic) use. Sculptra is used for volumizing areas of the face that have lost volume with aging. Typically more than one injection procedure is required and results are gradual. Impressive results can often be seen after a full course of treatment. 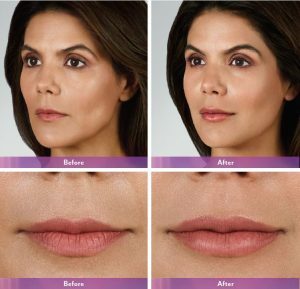 Bellafill– Bellafill is a dermal filler designed for the immediate, long-lasting correction of nasolabial folds. The results have been shown to safely last as many as five years. Bellafill is also used to fill in moderate to severe acne scars on the cheeks. Suitable candidates for Bellafill must be at least 21 years of age. See our Liquid Facelift for more information.